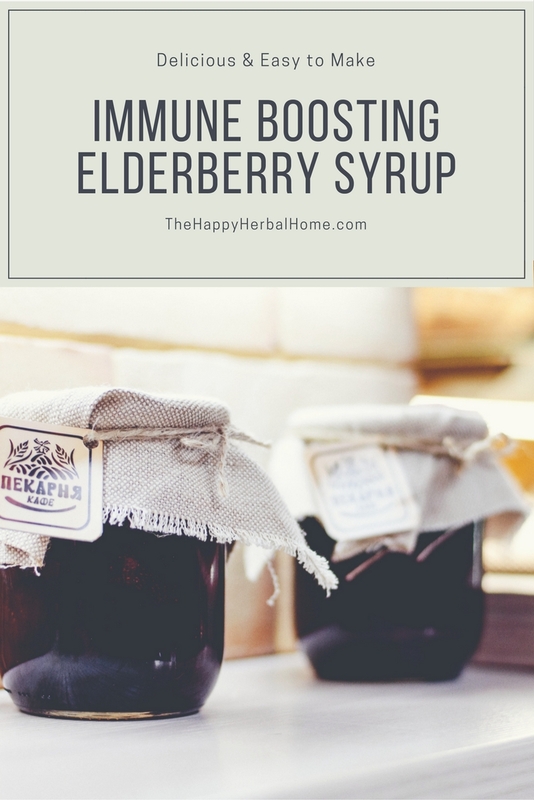 Elderberry syrup is a delicious and simple way to keep your family healthy during the cold and flu season. We keep a batch ready in the fridge and take a daily spoonful to boost everyone’s immune system. Elderberry is chock full of health benefits. This study showed that people who became ill with a cold while traveling experienced less symptom severity and fewer days sick when taking elderberry extract, vs a placebo. It’s also very high in vitamin C.
Now, of course, this stuff doesn’t work miracles alone, but it definitely helps reduce the time spent sick and helps my little ones not get hit so hard. Bring water and herbs to a boil, then simmer on low for 1 hour, (reducing liquid to about half) occasionally mashing and breaking berries up. Let cool long enough to touch. Strain juice through a fine mesh strainer, or a fine mesh bag. (I actually find my tea strainer to be helpful and it’s what I usually have on hand.) Make sure to squeeze all the juice out of the berries as this is where all the good stuff is. 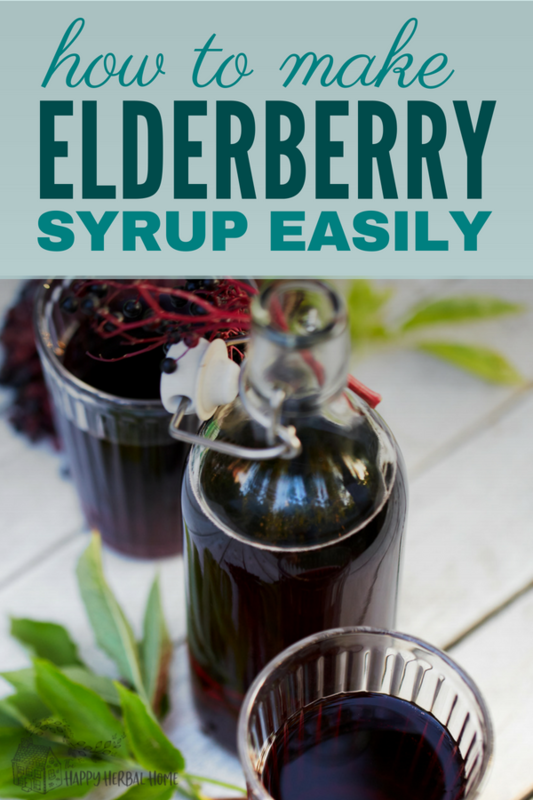 Now you have your very own, basic elderberry syrup. If you want to add a little variation or extra immune boosting power you can add other herbs as well. It’s common to see people add sliced ginger and a cinnamon stick while the berries are simmering. Syrup will keep for 2 or 3 months in the fridge. Give a teaspoon a day to children for preventative measures, and a tablespoon a day for adults. Increase to every 1-2 hours at the first signs of cold or flu. Echinacea (considered the immune-boosting herb) *A warning about echinacea. I personally do not add this to my elderberry syrup as we consume ours on a daily basis. Echinacea is only supposed to be used for a short amount of time, usually during illness. If you add cinnamon and ginger, they can be added at the same time as the elderberries and the recipe above stays the same. If you are adding loose leaf herbs such as the Echinacea then you would add these at the end of the cooking time, and let them steep for 20 minutes, and strain everything out together, after the 20 minutes is up. Then add to your honey. This is probably one of the most delicious herbal remedies and once your kids taste it, they’ll come back begging for more. I like putting a spoonful in my toddler’s bedtime tea. It adds a delicious flavor and pairs so well the calming herbs You could put it into anything you’d use honey in. Adding gelatin to them to make elderberry gummies. There are so many possibilities. I’m sure they’d be just as happy to take it by the spoonful each day as well. *Do not eat raw elderberries. Elderberries must be cooked before being consumed or they could be toxic and cause stomach upset. You can get dried elderberries here. 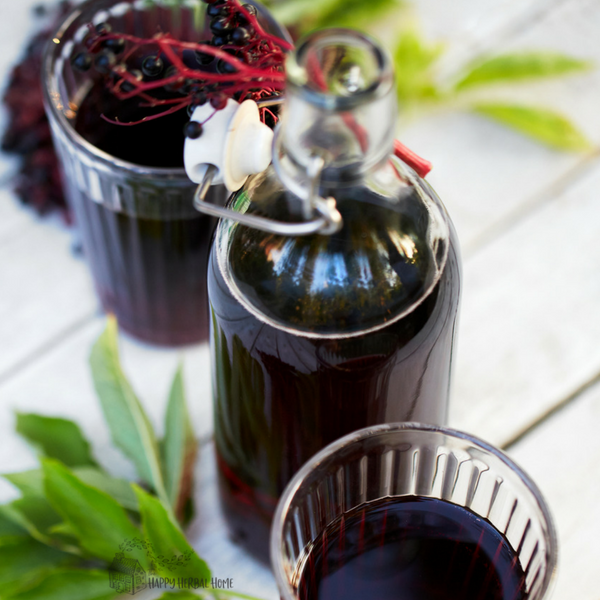 If your new to making herbal goods and want a fun way to make a few awesome herbal remedies The herbal Academy has an awesome Herbal Starter Kit that includes 22 guided recipes with the ingredients for you to make, including elderberry syrup. The only thing I didn’t see in there was the honey. This would be an exciting package to receive as a budding herbalist. I love the herbal academy because you can tell they truly care about their craft and their students. 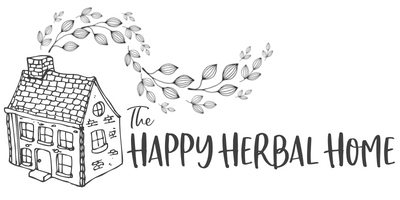 You can check out my full review of The Herbal Academy here.